NEW ORLEANS, LA – The opening workshops of the 2019 Gulf of Mexico Oil Spill & Ecosystem Science (GoMOSES) Conference took place yesterday at the Hyatt Regency hotel in New Orleans, LA. April 20, 2019, will mark 9 years since the Deepwater Horizon blowout. In an all-day workshop focused on “Fighting the Next War”一that is, responding to future deep oil spills一presenters from academia, industry, and government discussed lessons learned by the research community in the wake of the Deepwater Horizon blowout. 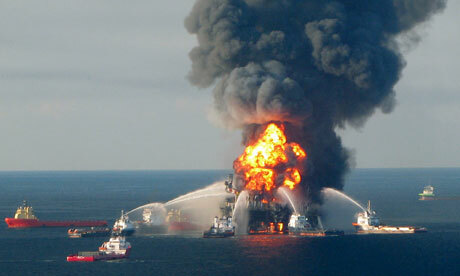 The workshop delved into the science, response operations, and speculation of large oil spills. Much of the work is highlighted in two books that are due out in press in 2019: Deep Oil Spills and Scenarios and Responses to Deep Oil Spills. As someone trained in oceanography but new to the world of oil spill research, I quickly found myself hiking a very steep learning curve while digesting some fascinating results produced from some very hard-fought data. Predicting the next big oil spill and assessing the response needed requires complex physical oceanographic models, comprehensive fish species abundance studies, inventories of deep seafloor organisms, knowledge of industry policies and government response mechanisms, and some high-tech laboratory experimentation to simulate the high-pressure conditions where modern deep-well blowouts are likely to occur. The workshop was hosted by the Center for Integrated Modeling and Analysis of the Gulf Ecosystem (C-IMAGE) and the Deep Pelagic Nekton Dynamics of the Gulf of Mexico Consortium (DEEPEND). Dr. Steven Murawski, who heads C-IMAGE, chaired the workshop and gave opening and closing talks describing the enormous scale of oil extraction in the Gulf of Mexico (650 million barrels per year), the industry’s inevitable move further offshore, and the likelihood of a squeezing of the Eastern Moratorium zone (essentially, all of the waters offshore of Florida beaches). Dr. Tracy Sutton, who heads the DEEPEND Consortium, delivered summary results from years of cruises, demonstrating that deep (mesopelagic) fish are a much more important part of the food web than were previously thought. And, they’re a greatly threatened group of fishes: a 50-75% decline in the most commonly abundant species has occurred since the 2010 Deepwater Horizon oil spill and and an 86% decline in lantern fishes. Dr. Tom Coolbaugh, from Exxon-Mobil, gave an overview of the response challenges facing the industry and stressed the importance of having sound, scientific knowledge readily at their fingertips when the unfortunate occurs. Scott Lungdren, Division Chief for NOAA’s Office of Response and Restoration, outlined the agency’s role in oil spill response, most notably, the critical role of NOAA in sponsoring research and scientific meetings (like GoMOSES) as well as researching and developing methods for oil spill response. Dr. Adolfo Gracia, from the National University of Mexico, capped his overview of the research strategy in Mexico by advocating for a One Gulf approach to oil spill science, recognizing that the connectivity of the different regions of the Gulf requires that everyone work together in sharing ideas and information. Stay tuned for daily updates on the latest research from other presenters at the 2019 GoMOSES Conference.